New Chompers Are Pure Colombian! Tekashi69‘s gonna be flossing, but we ain’t talking jewelry … it’s a new grin. 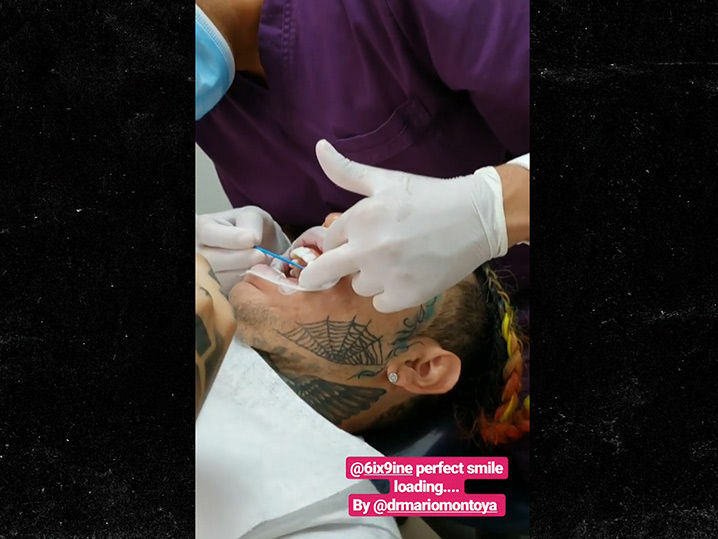 The rapper hit up renowned Colombian dentist Dr. Mario Montoya in Cali, Colombia for a 5-hour veneers procedure Tuesday. He walked out with a brand spankin’ new smile (not that Tekashi’s ever been shy about mugging for cameras). The porcelain veneers are typically used to cover up discoloration or chipped teeth. In other words … quick path to a near-flawless smile. We’re told 6ix9ine dropped upwards of $12k for the procedure which included 12 top teeth and 12 more on the bottom. Not a bad way to reward himself … after spreading the love to his family in Mexico.